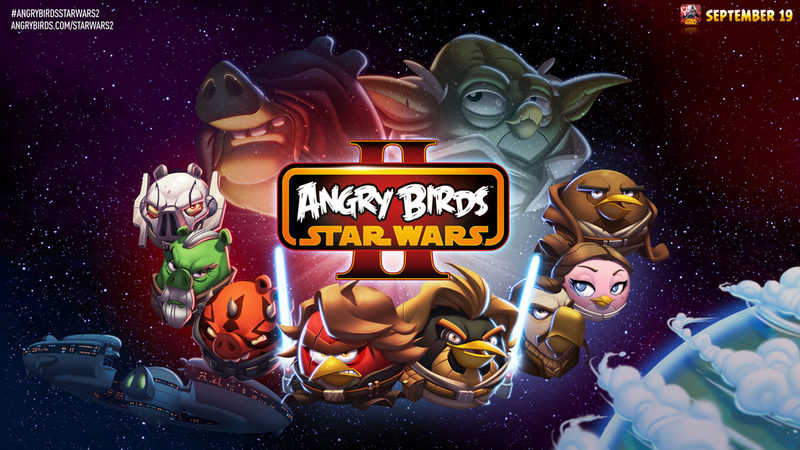 Rovio has officially announced the arrival of angry birds star wars 2 , launching this September 19 on Android (and iOS).The new game will tackle the prequels, introducing a wide roster of never-before-seen Angry Birds Star Wars characters. The best part? We’ll get to play with over 30 of them! To compliment this wide lineup of characters, Rovio will launch over 30 collectable TELEPODS figures from Hasbro. Placing these figures onto your phone or tablet camera will scan the character of choice directly into the game, allowing you to select new characters on the fly. Rovio is also planning to launch new toys, plush, books, apparel along with the game on September 19. TELEPODS will be hitting stores in late September.So keep an eye out and May The Birds Be With You!